It's time to spill the beans. I'm returning to Las Vegas, southern Nevada and The West. The Grim Reaper of Florida, better known as The Motorist, came a calling on March 7 while I was cycling in St. Lucie County. Claiming he never saw me, the driver plowed into me from behind, leaving me with C2 and L1 fractures in my spine, concussed and so much battering of my right leg that blood still is collecting in my knee to this day nearly four weeks later. Prior to this inattentive driver by the name of Dennis Brophy, 65, of Fort Pierce smashing into me, things have not clicked as well as I had hoped for in Florida. The fact that Brophy slammed his 2016 Chevy Cruze into me without even receiving a ticket from the St. Lucie County Sheriff's Office was a strong message. It's time to leave Florida. It's an outrage that a careless, inattentive motorist can slam into a bicyclist without any legal culpability and citation. My specific plans will become evident in about a week. What is crystal clear is that I could not be on the road to recovery without so many generous people who sent cards, prayers, donations, food, positive vibes, healing mojo and their love. I know who you are and I will always be grateful. Last week, my doctor was done with the giant syringe and needle after filling a plastic cup with my blood. He extracted the red liquid from my bloated knee because so much blood had collected there that it looked like a water balloon compared to my good left leg. The hematomas and bruises in my quad and thigh muscles had leaked so much blood to my knee that the collected blood formed a blanket of liquid enveloping the knee joint. It inhibited the knee from bending. So, the blood just had to go. My doc squirted my blood from the syringe into the cup. And soon after, flexibility to the knee joint returned. Plus, I was happy for another reason. The crash, indeed, fractured my C2 and L1. And this is where a higher power intervened. The fractures faced in toward my skeletal frame and away from my spinal canal. That meant my nervous system was unharmed. No tingly feelings. No paralysis. So, tomorrow, which the marks the fourth week after the crash, I will be able to remove a cervical neck collar brace I have been wearing 24 7 since the moment I showed up in the Lawnwood Medical Center ICU. My real estate agent has planted the "For Sale" signs in the yard and I hope to be returning to The West by mid-May. And my intention is to be pedaling in Red Rock Canyon once again. 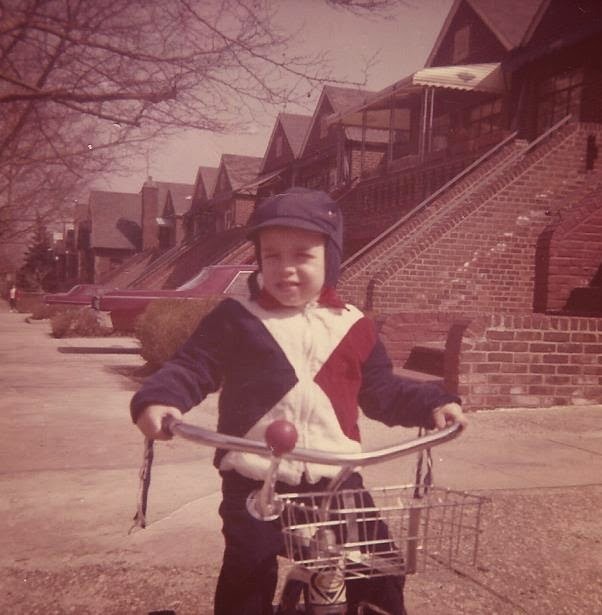 My former Denver Post pal -- Steve Lipsher -- wrote a Sunday column on how the police and justice system treat bicyclists as collateral damage at the hands of careless drivers. Glenn Henderson with Alan Snel. A nationally known bicycle safety advocate is riding his bike through St. Lucie County and is struck from behind by a motorist who admits he was distracted. The bicyclist survives but suffers a broken bone in his neck and other injuries -- saved only by a helmet that was crushed between his skull and windshield but provided sufficient protection to prevent a devastating, or possibly fatal, brain injury. And yet, authorities decide this is not worthy of ticketing the motorist, as if momentary inattention somehow does not equate evidence of negligence. 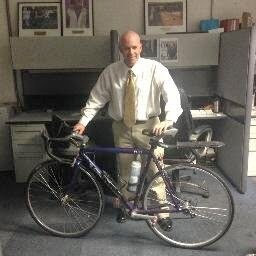 -- First, the bicyclist is Alan Snel (see his blog item attached), a longtime friend and former co-worker, who has now decided to move back West, where motorists show at least a semblance of concern for those using two wheels to get around. -- It provides further evidence that St. Lucie County is a very dangerous place for cyclists and pedestrians, who have limited options but to share roadways with those who see two-wheelers as an inconvenience to get around. 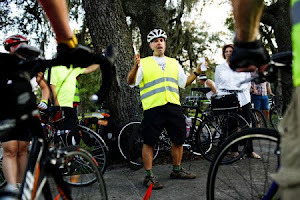 -- Florida law enforcement views bicyclists as contributors to accidents in which they are victims, something that will only change if legislators decide this is an issue that demands action. -- And finally, despite the fact that this ironic and cautionary tale has occurred in our own backyard, no local media has covered the story, though the news has appeared in the Tampa Times and Denver Post, where bicycling is obviously more of a community concern. This past Christmas, my wife and I considered buying bikes again, primarily for health reasons. But I held off over concerns that our health might actually suffer -- at the hands of "inattentive" motorists. It appears I was right. Sadly, nothing will change until laws are passed that, we hope, will force feed a new perception to those behind the wheel of a potential killing machine that everyone between the yellow lines deserves respect and attention. Welcome to lovely St. Lucie County, Fla., where a motorist can smash into a bicyclist with complete immunity and not even draw a citation. A 65-year-old motorist by the name of Dennis Brophy from Fort Pierce drove his 2016 Chevy Cruze right into me from behind without a single attempt at driving around me and sent me to the Lawnwood Medical Center ICU for two days -- and the responding officer did not believe that the culpable motorist deserved a ticket, summons or citation. Brophy says in plain black-and-white in the crash record that he was in the process of inhaling "a breathing treatment" when he drove his car right into the back of my bicycle and me as we both headed south on Old Dixie Highway at 8:03 a.m. on March 7. Brophy also stated, according to the report, he was "blinded by the light and never saw the bicyclist until he hit him." On the report spot listed as "Driver Distracted By," a single word is typed in: "Inattentive." And driver's condition at time of crash is "fatigue/asleep." Inhaler. Flash of light. Falling asleep. Brophy threw every excuse out there. The deputy did email me these soothing words, "This will not effect the fact that you were the victim of this crash." The rear wheel of the Cannondale road bicycle was broken into pieces and the rear of the Specialized Propero helmet was crushed in, the helmet cracked in several places. I could have been killed or left for being a vegetable without that helmet standing up to the crash when Brophy drove his Chevy into me. Thankfully -- and I think by nothing less than a miracle -- I left the ICU and am recuperating at home. My lawyer, J. Steele Olmstead, of Tampa, is handing the case, the hospital bills and the insurance issues. The force of this collision was met by the love and generosity of my friends and family and strangers in the greater bicycle community who donated a stunning $4,000 in the first 24 hours of internet fund raising so that I will have some money to pay my bills and meet living expenses while this case is sorted out. My sister Debbie worked with bike friends Joe "Metal Cowboy" Kurmaskie and Bridget "French Cottage" Sweeten to post a You Caring fundraising link on Tuesday evening. And I get choked up thinking about so many people stepped up and gave money and shared the fundraiser link to help me. I face a long recovery but with family and friends joining this voyage I hope to one day hop back on the saddle. On March 7 shortly after 8 a.m., a motorist slammed into me from behind as I bicycled on Old Dixie Highway in St. Lucie County north of Fort Pierce, FLA and rescue workers transported me to the Lawnwood Medical Center ICU. Thank you first responders, including Deputy David Felix. I am home recuperating from serious injuries, which is why this bicycle blog has been dark since the motorist crashed his vehicle into me. 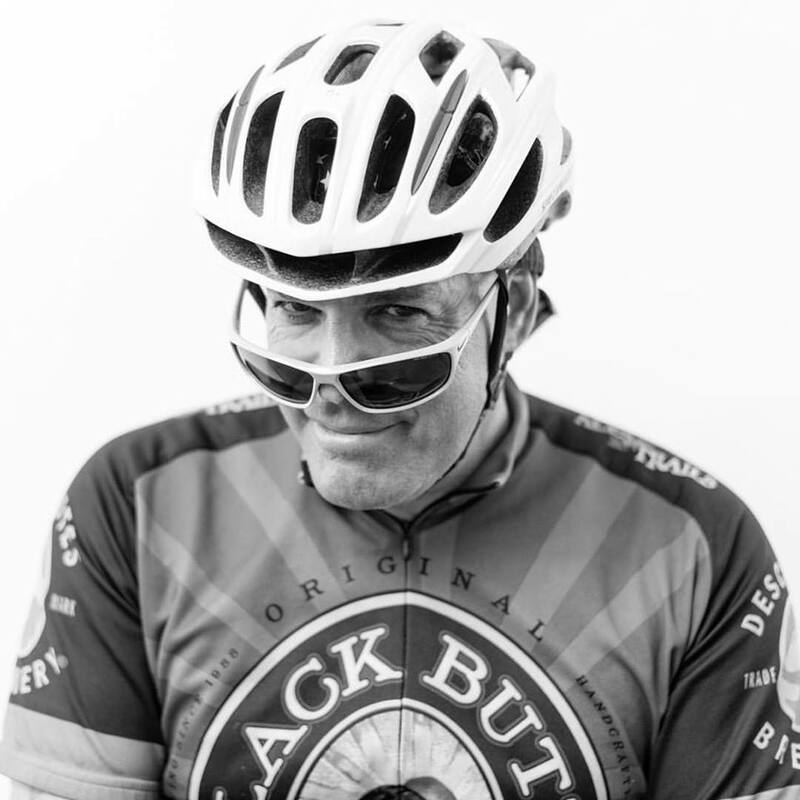 Bicycle lawyer J. Steele Olmstead of Tampa is handling my case. I want to thank three people who put together a You Caring fundraising page to raise money to cope with my living expenses and bills. 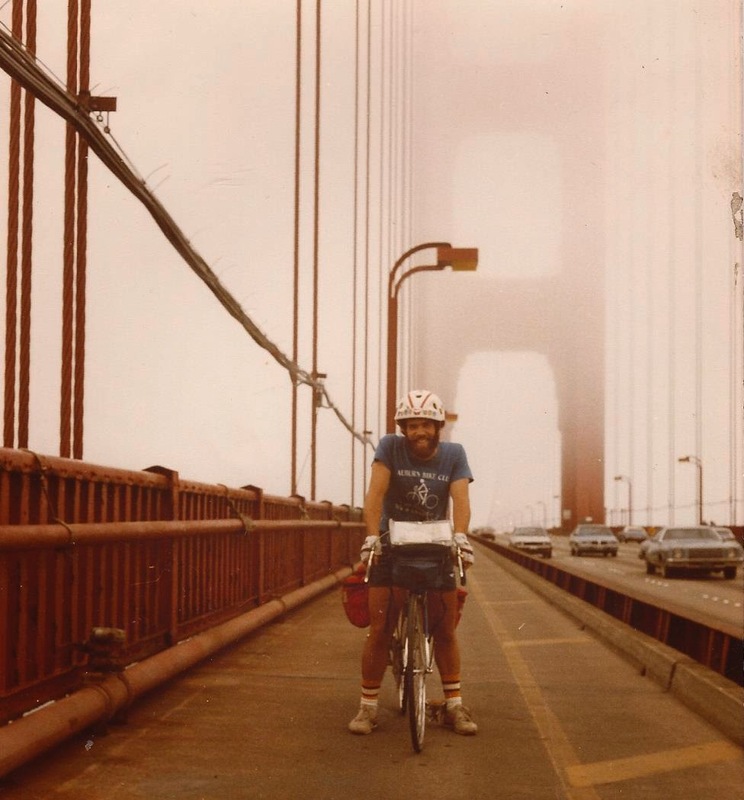 My sister Deb worked with close bicycling friends Joe "Metal Cowboy" Kurmaskie and Bridget "French Cottage" Sweeten to launch the You Caring page. Thank you from the bottom of my heart for those who donated and sent cards and well wishes. It's so cool that you enjoy Florida! You're back in South Florida today -- and I live here too. Today is such a sweet March day here in the Sunshine State for both of us. Strong tropical breezes off the Atlantic Ocean, yet the humidity is still low so that we're not sweating our balls off! Yet, for some reason, when you come to Florida you seem kinda, well, stressed out and those fingers of yours go running across your cell phone and out pops another tweet that really grabs America by the . . . hmmmm, I'm not sure I better finish that sentence. Well, anyway, you were back in Florida and back on the Twitter and out jumped this twittery gem. Man, that's quite the doozy! So intense, that you threw in an extra "p" into "tapp." So, here's the deal. Even your closest pals think you're overdoing it a bit with this Twitter thing. So, I have an idea. 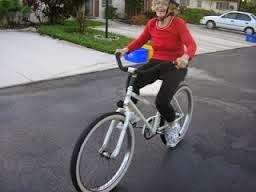 Let's go bicycling instead of you twittering when you come to Florida. Didn't you hear? Bicycling is the new golf! I get stressed out, too, sometimes -- just like you. But instead of tweeting I go biking. You love bicycles. Well, maybe once you did, when you put on the Tour de Trump bike race back in the late 1980s. You had the golden touch even back then. This protest stuff is not new. 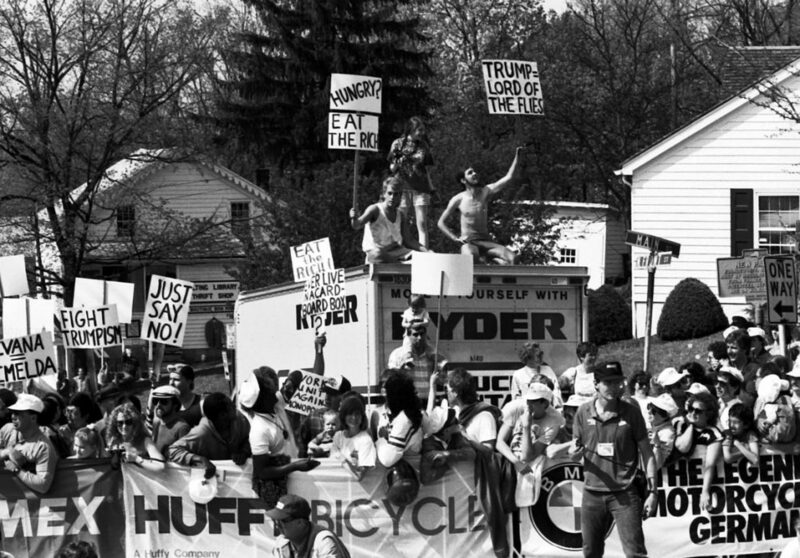 Check out some of these folks way back in 1989 at your bike race. Anyway, I'm happy to take you out on a bicycle ride. I have a bicycle for you. Or, I have lots of friends who would be happy to loan their bikes to you, too. That's the beautiful thing about bicyclists -- we come in all shapes and sizes and political backgrounds, so we'll definitely come up with a bike for you to pedal. No tweeting and biking. (And no Putin either). The prospect of 5,000 new homes being built in Red Rock Canyon means the Clark County Commission must stand up for the tens of thousands of people who have signed a petition against this obscene and outrageous project that would scar the Red Rock experience forever. Red Rock Canyon runs deep inside me, so I wrote this column for The Nevada Independent about the Commission's failure to stand for the people. Just yesterday, The Indy's Jackie Valley wrote this story outlining the issues about this outrageous project.